Stephen LeGreca, B. Comm., CA, GAICD, is an independent consultant. 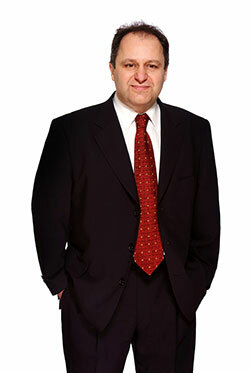 His clients include: St. George Bank which has included advice on capital management, Basel II, and conversion to AIFRS; Rubicro Group Limited assistance with financial reporting and corporate governance requirements; and ICAA including preparation of web content on AASB 139 in particular loan and receivables provisioning and hedging (guidance on cash flow and fair value hedging). Previously, Stephen was an audit partner BDO (then BDO Nelson Parkhill); including Chairman of the Sydney office Technical Committee that was responsible for training on accounting standards and auditing practice. He was also Director of Technical Services whose responsibilities comprised professional development, maintenance of audit manuals and associated documentation, preparation of newsletters for internal and external, and provision of advice on audit and accounting matters. Stephen was also National Director of Assurance Services and Australian representatives to the BDO International Accounting and Auditing Committee. His audit clients have included: Woolworths Ltd, TMP Worldwide, Morgan & Banks, Cashcard Australia Ltd, and St. George Bank/Advance Bank Ltd.